Unique, modern design wall mounted 13 inch plexiglass bathroom shelf with brass railing. 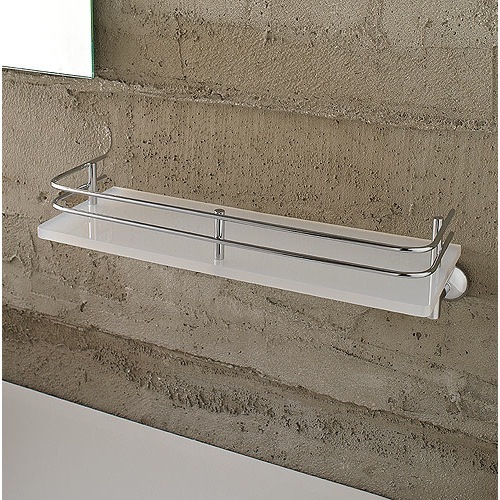 Stylish bath shelf is made out of plexiglass with chromed brass railing and mounting. Bathroom wall shelf is easily mounted with screws. Made in Italy by Toscanaluce.